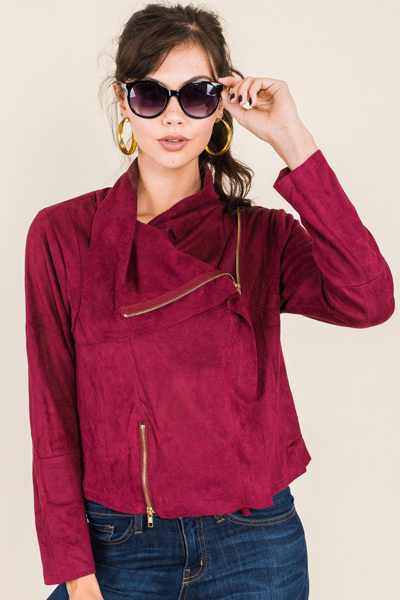 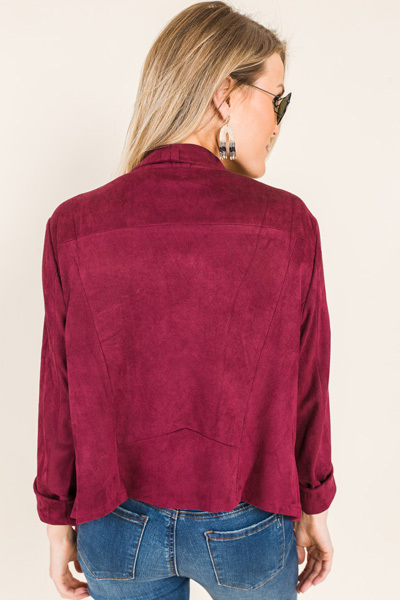 A supple suede jacket that looks fabulous worn open, or zipped up! 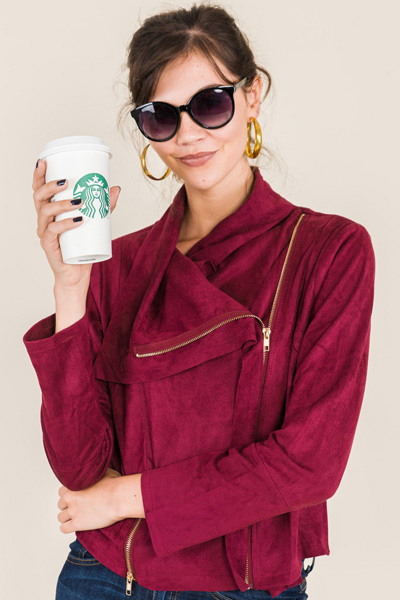 Jacket features an off-centered gold zipper (we love the way gold hardware makes everything look more expensive) and a feminine looking, roll-over collar and lapels. 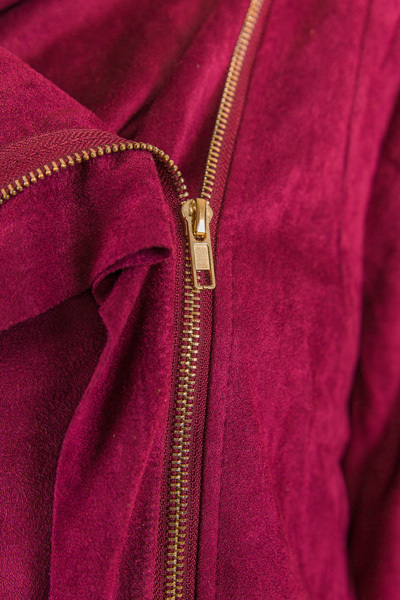 Zip it up and make it your outfit, or use it as a gorgeous top layer. 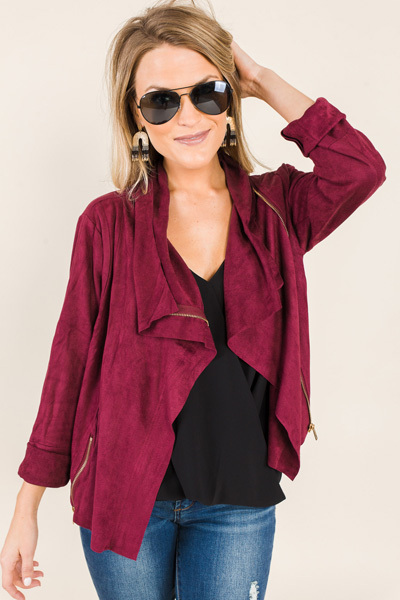 Length measures approximately: S=19.5" M=30" L=20.5"